I was very surprised that after my tumor markers have slowly been creeping up slowly over the past several scans, the PET scans show everything has slowed down and we’re calling it stable. So I went ahead and had TDM-1 today and we’ll continue for another 3 months. So now I can focus on my trip to England and then moving to my new home. We leave tomorrow evening. 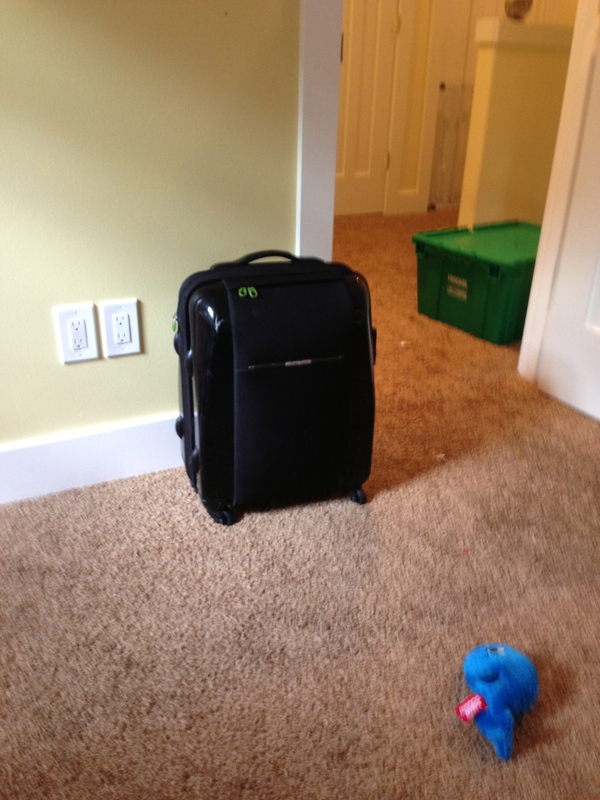 I am a packing superstar and fit everything into a carry-on roller bag. I’ll check it for flying, but it will be easier to get on and off trains, etc. Ever need help packing light for a trip? Call me to help! This bag has 2 pairs of shoes, 10 pairs of underwear, pajamas, 5 pairs of pants, 2 dresses, and 8 tops. Plus all of my toiletries and such. Yup, I rock! Glad to hear “stable”! We like that! Well, knowing you I am not surprised at your super duper amazing packing abilities. I definitely need to consult with you on my next trip!! Have a great time!! lots of pictures! You are the packing queen………. Have a wonderful time, Karen! Can’t wait to hear about this trip. Also, I don’t know how you got all that stuff in.